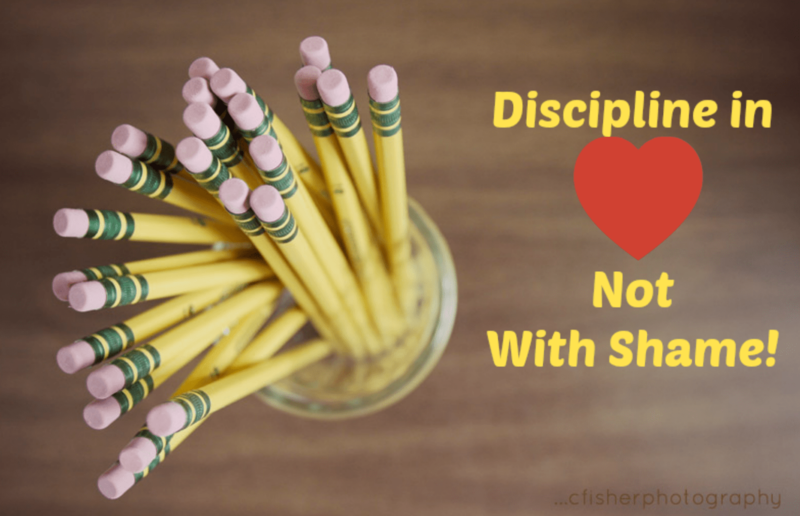 Every parent, teacher, or care giver of a child may have a different method to discipline the child in his or her care, but sometimes we all need a couple of tips or reminders to help us discipline in love, and not with shame. Over the years I have seen so many children damaged by emotional public shaming. In fact, one of my most vivid second grade memories is watching one of my classmates have to sit in the corner with a large writing pad on wheels separating him from the rest of the class, while he was ordered to stare in the corner for hours throughout the day. He often would get in trouble for the oddest offenses and, I, at 6 years old, took note. It not only affected him in the classroom, but it affected the rest of us students too. The punishment he usually received didn’t fit the offense in my opinion. Our teacher used this poorly thought-out “time out” method as her main behavior tool when he was caught whispering to another classmate or talking without his hand raised. Not surprisingly, by the time he reached fifth grade he had lost interest in school and began acting out with more serious behavior problems. Throughout my educational years, I saw so many boys, especially, publicly shamed in school it was hard to learn how to treat them with self respect and dignity. Now, I believe if you have to send your child to school away from you, you should make random pop-up visits when you can. It appears that the more involved and active you are with your child’s teacher or care giver, promoting a relationship of friendship, the better your child may be treated. Unfortunately, shame is so prevalent in our homes and schools, but shouldn’t be. I believe, it is important that we find a better way. I have been reading 1-2-3 Magic by Dr. Thomas Phelan, which is a great alternative and healthy method to use to discipline children. I plan to do a review on the method very soon.